Playing guitar just got more fun! 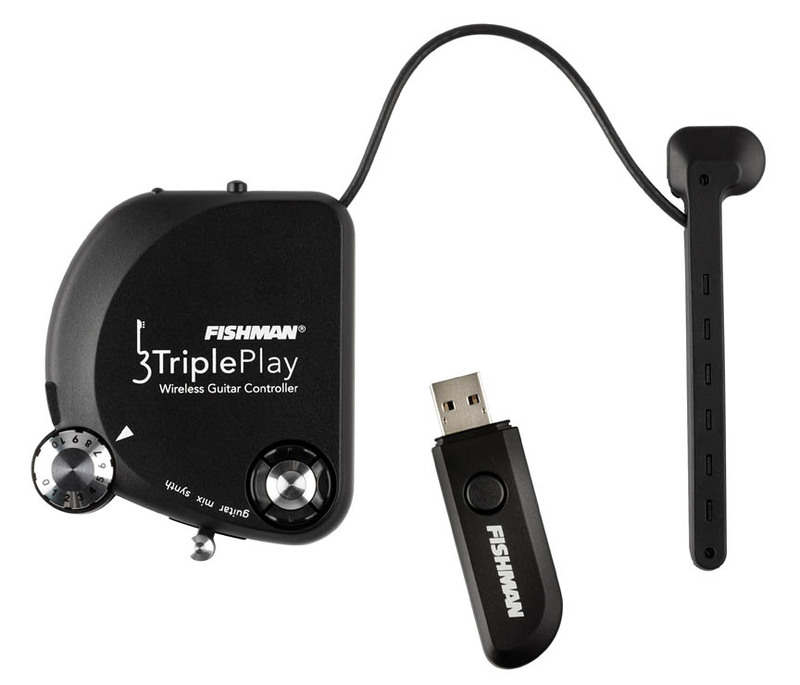 Triple Play™ is the ultimate wireless guitar controller. 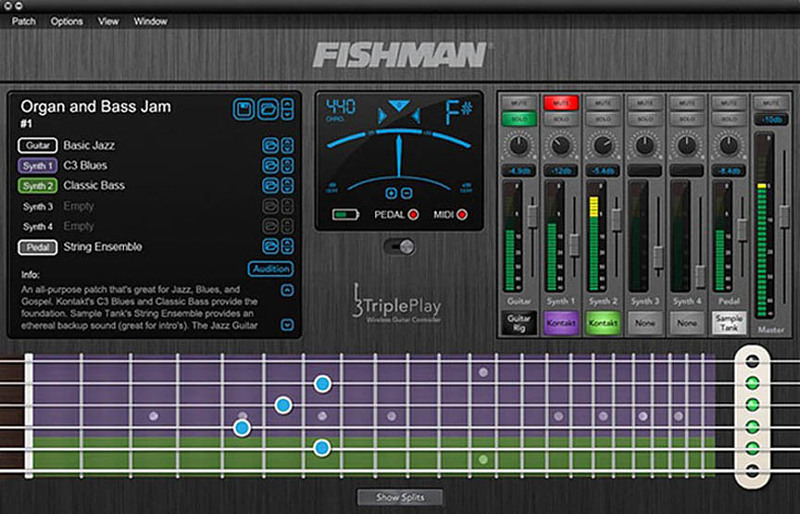 The ultra-slim pro design and Fishman's intuitive software pack get you set-up and working fast. 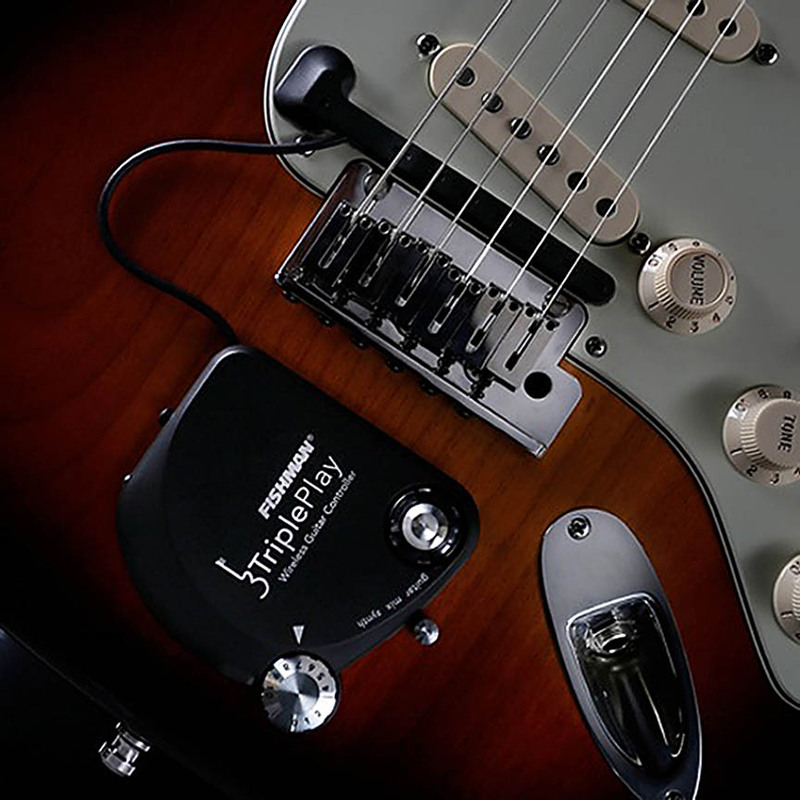 Unlock your guitar's potential – powerful and unlimited sound capability is at your command – all with the freedom of wireless control. Compose – Open up new unlimited creative options with every possible instrument at your command. Full accurate notation lets you share your music with members of your band. If you're a beginner; accurate note-by-note transcriptions help you learn faster and more intuitively. Perform – Integrate your guitar with any virtual instrument or hardware synthesizer to provide on stage access to an unlimited array of instruments; samples and sounds to enhance your performances. Record – The best solution to integrate your guitar with your favorite DAW running on a PC; Mac or iPad as a complete music recording and production tool. Build an entire arrangement from drums to bass; add keyboards; horns and strings; all from the Triple Play Wireless Guitar Controller.